Prior to joining SeaBridge in July 2011, Ms. Xia served as an equity research associate in the biotechnology and life sciences sector at BMO Capital Markets and Cantor Fitzgerald. From 2007-2009, she served as a Senior Financial Analyst at Gillette/P&G, where she was a member of the global strategy and financial analysis team. Previously, Ms. Xia worked from 2002-2007 as a research scientist specializing in pharmaceutical process development and optimization. 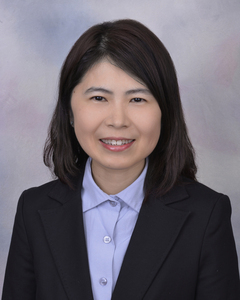 At SeaBridge, Ms. Xia serves as research analyst, mainly for Seabridge’s Core Global investment strategy. She earned a Bachelor of Science degree in Chemistry from Shanghai University, a Doctor of Philosophy in Chemistry from Cornell University and a Master of Business Administration from New York University. Angell is a CFA charterholder.